The world’s paintings deserve to be seen in person. 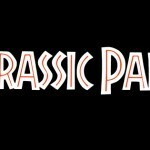 But if you can’t make it to the lost world, JURASSIC PAINT can be seen on newscenario.net this summer. Works on canvas and live size dinos.